You might be enthusiastic about learning a new language but find it daunting, or perhaps you are confident but not sure how to get started. Ultimately, you have to do some research and go with your gut. Everyone has a different learning style – you should try to find a language learning program that fits yours. However, one thing is certain: To become truly fluent, you need to practice with a native speaker. Most people find that actually being in a country causes them to learn more of the language than they ever learned by any other means. There are language learning programs that give a simulated immersion experience. It is even possible to get online tutoring from a native speaker. Never before have there been so many options when it comes to Italian language courses. Italy, therefore, has never been so accessible. Learning about Italy’s culture to the point that you really sympathize with Italian people is an important part of learning Italian language. Italian is not commonly taught in schools, and not, relatively speaking, a common language in the world. However, Italy itself (initially in the form of the Roman Empire) has made an indelible mark on the world, especially the West. Italian is a modern form of Latin, the language of the Roman Empire. If you want to speak comfortably with Italians so that you can work with them, you should speak their modern language. Therefore, anyone hoping to better understand Rome’s historical impact should consider Italian language courses: Italy is the key. Some people might like to learn Italian for personal reasons. Perhaps you have found out by genetic or genealogical means that you are part Italian. In such cases, learning the language is a way to feel an intimate connection with your ancestors. Knowing Italian might facilitate going to Italy and doing further genealogical research. If you are lucky, you could even find relatives in present-day Italy, and being able to speak to them comfortably would be incredible, of course. Of course, there are other reasons why one might want to learn Italian. If you work, or anticipate working, in Italy (or with Italians), you might benefit from Italian language courses. 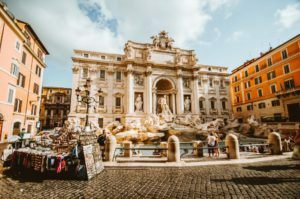 Italy has obviously given us many words for use in cuisine and music theory, so if you are interested in either of these areas, it makes sense to learn Italian. 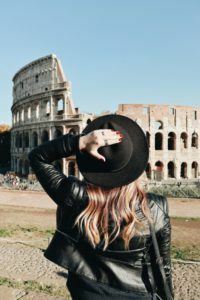 Alternatively, Italy might just be a source of fascination for you, and that is a perfectly legitimate reason, too; in fact, you never know where pursuing knowledge about a culture and language might take you. In the particular case of Italian, interacting with a native speaker is especially important to reach true fluency. This is because true Italian communication involves hand/arm gestures. Far-West languages, such as English and French, are more strictly word-based. Therefore, you really need a native Italian with whom to converse, in person or by computer screen – if you are serious about mastering Italian. Another benefit of having a true Italian to converse with is that they can tell you the real story about their culture – not the stereotypes or the textbook concepts. Also, if you are conversing with a native Italian who is fluent in your language, he/she can clearly answer those questions about the language or culture that textbooks and other formal content never seem to address. Ultimately, a native will make the culture seem more relatable. Finding another culture relatable is not only an eye-opening experience but is also critical to having practical fluency – that is, really being able to converse fluidly and expressively with a native speaker. For many, it is this social connection that is the best part of mastering a new language. Even if you are sitting in Italy right now, you might feel anxious about going out and talking to real Italians. What if they do not understand what you are saying? What if they get frustrated? What if you embarrass yourself? Thankfully, wherever you are, it is possible to have a native Italian teacher work with you over video chat to get you started and support you through your journey. italki is a website that allows you to connect with people all around the world who are interested in teaching, learning, and/or practicing a foreign language. It has over a million language-learning community members, including a thousand professional teachers, and it offers learning assistance for over a hundred languages. The site allows you to find a teacher who can speak a language you speak fluently and who is a native or fluent speaker in the language you wish to learn. The site manages payment and scheduling for lessons. You pay per lesson and the price is agreed upon by both the teacher and student. Lessons are taught over Skype or another video chat program; a great thing about this is that you can both hear and see your instructor. You can search for a teacher by using the site’s filters: location, hourly rate, languages they speak, and teaching specialization (test preparation, business, child education, or adult education). Ultimately, it is possible to find the perfect teacher to get you feeling confident about learning your new language; having an almost in-person teacher helps you jump out of the dictionary and jump into the living language wherever in the world it is. If a teacher is not what you are looking for, italki has plenty of other options: There are community tutors, language exchange partners, articles, discussions, and notebook features. Community tutors are fluent in multiple languages and can help you learn a new language, but they are not professional teachers. The language exchange allows you to find someone who wants to learn your language and can help you with the language you want to learn. It is literally a language-learning trade. The articles section of the site features articles in the site language that you have chosen (presumably your native language or one with which you are comfortably fluent); the articles offer advice about learning languages. In contrast, the notebook section allows you to post your writings and have italki community members review and correct them. This is a great way to practice writing in another language. The discussion section is the most open-ended part of the site: you can post something for the italki community to respond to in any language. On the italki site, professional teachers publish their credentials and are clearly labeled by the language(s) they can teach. In a similar way, community tutors give a description of their approach and personal mission, along with a clear designation of what language(s) they can teach. In both cases, they allow you a half-hour trial lesson (at half the hourly price), and their prices are clearly marked. Because people all over the world use italki, the site uses italki credits, rather than currency, for payment (but they are displayed in US dollars). You can purchase the credits either in bulk or per lesson, and you do not have to pay in credits until you confirm that a lesson has been completed. It is easy, intuitive, and painless to set up your account, find a teacher/tutor, and schedule lessons. In fact, because of its ease and flexibility, italki is a great option if you need to get an online tutor right away. Each italki user has an online profile, much as one would on a social media site. Records of lessons completed, a profile statement, and a list of friends and past teachers are part of one’s profile. Naturally, fluency in each language the user knows is posted. Fluency is designated by five bars beside the language name. The more bars that are colored in (red for non-native and green for native tongue), the more fluent the speaker is in that language. This is especially helpful if you are looking for a language partner for multiple languages. Even if you are using language learning textbooks, software, or online programs – having an almost in-person teacher to work with one-on-one will help you get past obstacles and avoid struggling or stagnating. Having this teacher/tutor be a native speaker or someone who has gotten past many of the struggles you have, possibly in multiple languages, is the closest you can get to study abroad without actually traveling. For some, it might even be better; those who are shy or insecure may stick with more assertive speakers and depend on them to either translate everything or to speak for them. A one-on-one experience gives the more introverted or self-conscious person a chance to get their language learning needs to be met. Also, such personalized teaching from a native speaker is the best way possible to make the process of learning a language real and enjoyable. A native speaker inevitably gives you a much more realistic idea of how fluent you are becoming, and you can be completely sure that what you are learning is a real skill, not just academic enrichment.